These 8 billionaires have as much money as the 3.6 billion poorest people in the world. This fact has economists worried about the destabilization and breakdown of society as a result of so many billions of people living in poverty while so few being so wealthy. It is believed to be simply globally unsustainable. Let’s countdown the top 8 wealthiest men in the world as of 2017. Michael Bloomberg is the CEO, owner and founder of Bloomberg L.P. financial software, data, and media company. He’s a businessman, a politician, an author and a generous philanthropist. A graduate of Harvard Business school, he was laid off from Salomon Brothers with a severance package of $10 million, which he used to set up “Innovative Market Systems,” which sold high standard business information utilizing the latest technology to provide a speedy delivery. 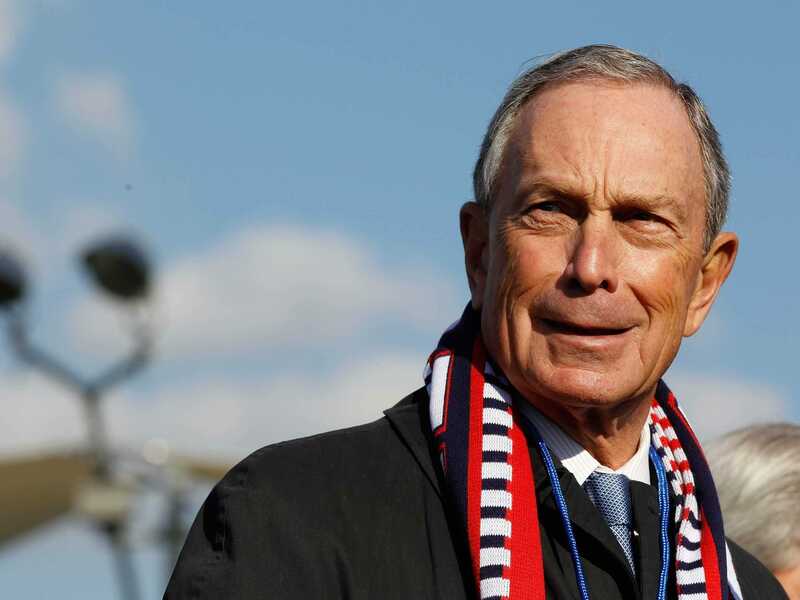 Fun fact: Bloomberg is the 108th mayor of New York. Larry Ellison is the chairman of the Oracle Corporation, which specializes in database design and is a leading competitor to Microsoft SQL Server and Sybase. Ellison has a passion for yachts and won the 33rd America’s Cup in 2010. Known for his exceptionally lavish lifestyle, he owns several luxury cars and owns 98% of Lanai, Hawaii’s sixth-largest island. Nevertheless, he’s a very generous philanthropist. Interestingly, he was born to a poor, unwed mother and was adopted by his aunt. Fun fact: Ellison is a pilot and owns two military jets. Mark Zuckerberg, as you most likely know already, is both CEO and chairman of Facebook. He started out as a college computer programmer when he was at Harvard University studying computer science and psychology. The first version of this mega social network almost had him expelled, as to create it he had hack into the Harvard computer network. Zuckerberg is also extensively involved in philanthropy. Fun fact: Facebook now has 1.79 billion users globally. Jeff Bezos is the founder, CEO and chairman of Amazon.com. Beginning as a simple internet shop for bookselling, it expanded into the largest online shopping retailer in the world. Bezos is a retail and technology investor and entrepreneur who also has business interests in newspapers and aerospace. He was born to a poor teenage mother. He showed a proficiency for technology and science at school and went on to graduate with a Bachelor of Science and Engineering from Princeton University. He worked a few jobs in the computer science field on Wall Street, but ultimately came up with the idea of Amazon.com in his garage, leaving his other jobs behind. Fun fact: Bezos is one of the first investors in Google. His initial investment of $750,000 is now worth $4,308,900,000. Carlos Slim Helú is the CEO and Chairman of Samsung Mexico, América Móvil, Telmex, and the conglomerate Grupo Carso. His fortune was obtained through his extensive holdings of numerous companies throughout Mexico. He’s also a large philanthropist. He also believes in not only being philanthropic, but to also being an active participant in solving community problems. Fun fact: At the age of 11, Helú had his first taste of an investment paying dividends when he bought a government savings bond. Warren Buffet is viewed by many as the most successful investor in the world. He is the CEO, chairman and the largest shareholder of Berksohire Hathaway, an American multinational conglomerate holding company. On top of all that, he is a huge philanthropist. He has promised to give 99% of his wealth to charity just before his death. As a child he took every opportunity to be involved in simple selling ventures. He graduated from Columbia University with a Master of Science and Economics and also attended the New York Institute of Finance. Fun fact: Buffett still lives in a small(ish) 5-bedroom suburban home he bought in 1957 in Omaha, despite his immense wealth. Amancio Ortega is a Spanish business man and the richest man in Europe. Ortega is the former chairman and founder of Inditex Fashion Group, the umbrella company that includes European brand names such as Massimo Duti, Pull and Bear, Bershka and Zara. He is also a major investor in real estate, and a portion of his fortune comes from properties he owns in New York, London and Madrid. Fun fact: Zara was the original store he opened with his wife in 1975. For the past 23 years, Bill Gates has been the richest man in the world. That’s a fact that most people know, but what some people don’t know is that after Gates initially co-founded Microsoft in 1975, he eventually stood down as chairman in 2014 and began devoting his time to philanthropy. Ever since, he has been working on his charity, the Bill & Melinda Gates Foundation, with his wife. It’s no surprise that Gates has always been obsessed with computers and coding. He went on to study at Harvard, where he met Steve Ballmer—the man who succeeded him as CEO in 2014. Gates wrote many books and has a keen interest in literature. Fun fact: Gates is the owner of a collection of writings by Leonardo da Vinci, called the Codex Leicester, that he bought at auction for $30.8 million.